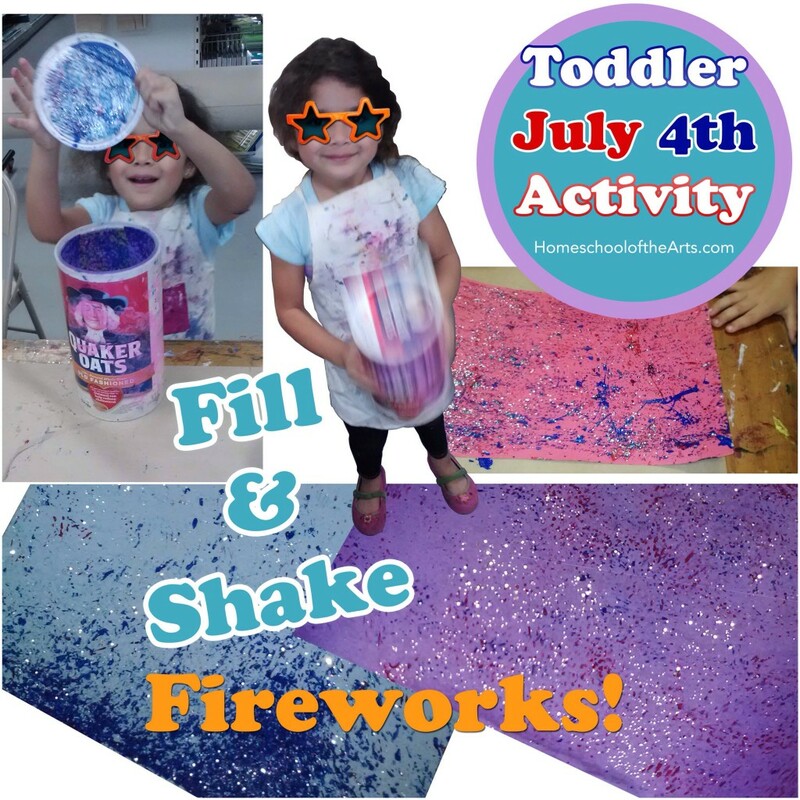 Have your kids create fireworks inspired artwork with this fun hands-on art project. If you want to use two colors, repeat the process with blue paint. It may be easier to set up two sets of cups and canisters. This way you can just transfer the paper from one container to the other. Do you have older kids? If your child is a tween, you can add to this project. Let the “glitterworks” dry (my kid just gave this project a new name. I like it; going back to the top to add it to the title). After words they can paint a silhouette of a cityscape at the bottom of their artwork. Members of Homeschool of the Arts in West Palm Beach can view calendar for upcoming classes, activities, and events. Magazine by homeschoolers. 1st edition to launch in 2018. Consider donating to Homeschoolofthearts.com by using the donate button. All items are designed or handmade by homeschoolers.